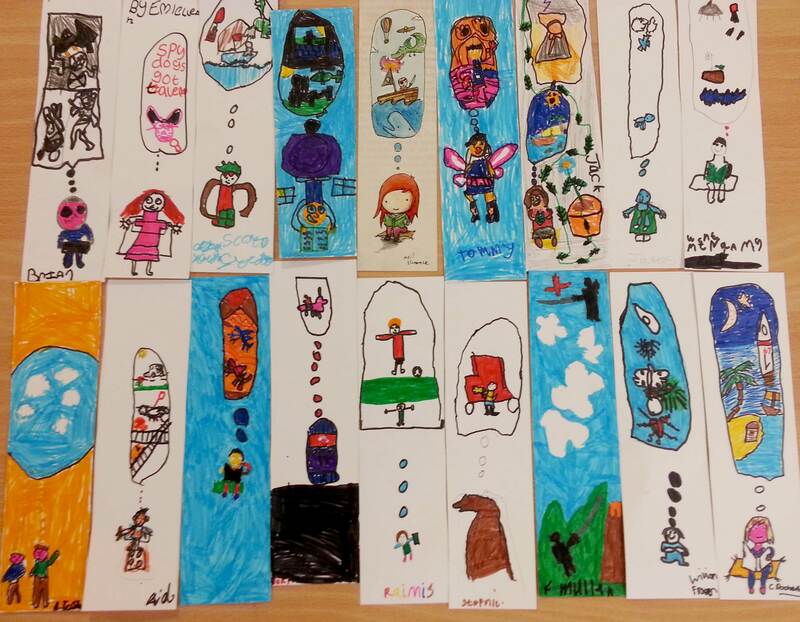 We Need to Talk about Bookmarks. 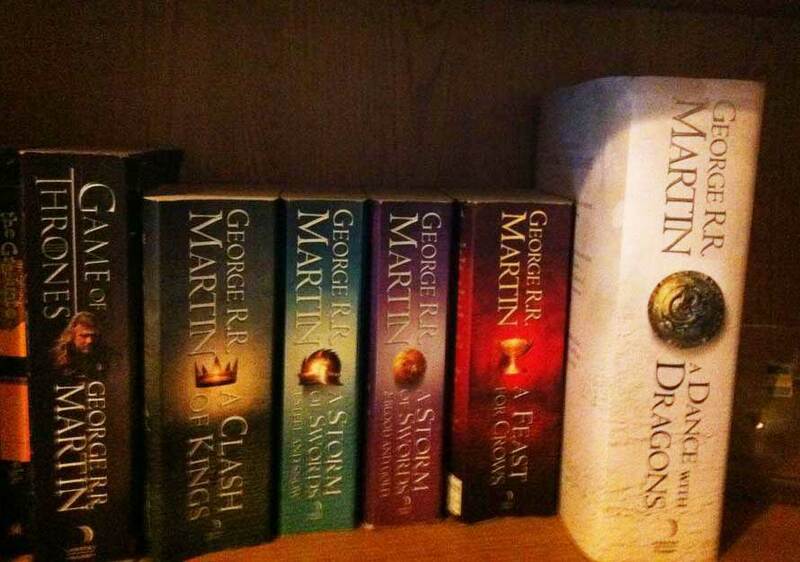 Books are brilliant. They can take you around the world, show you things you’ve never seen before, introduce you to the most interesting people and all without leaving a chair. 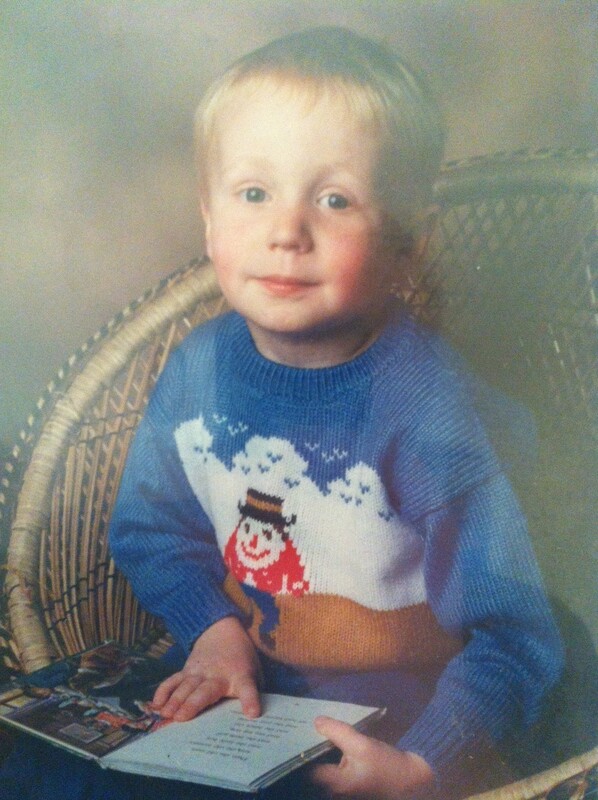 I bloody love books, in fact, here’s me getting right stuck into one. But do you know what’s rubbish? Losing your page! Gah! You have to go back and probably re-read stuff and oh my it’s a hassle. I guess that’s why we have bookmarks. Now some people use things like train tickets and business cards or bits of paper but these in my opinion are insufficient in their role as a book mark. So when Pushpin Zines asked me to design a book mark for them I was more than happy and I popped this out. It’s inspired by all the things that go through your head when you’re reading a book, it’s up for sale for £1 and you can get it here. You can also get some of my books on the site too! Neil’s Badge and Postcard Give-away! Hey Guys! Hope you’re all doing well! 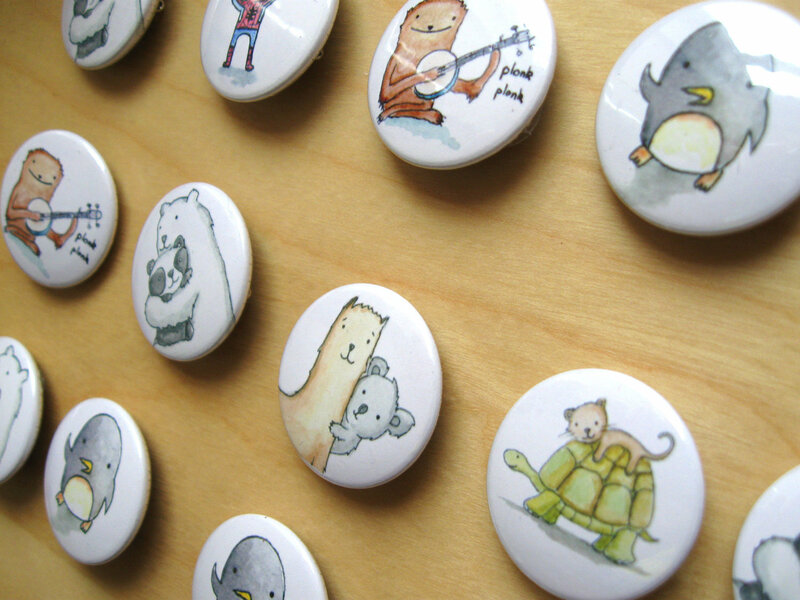 This week I am giving away 2 sets of badges and postcards, let’s look at them! All you have to do to be in with a chance is like my Facebook page! It’s that easy! No cryptic questions, no answers on a postcard just like the page and I’ll pick two lucky people on Monday! Also in the next week I’ll be putting lots of new stuff in my Etsy shop so eyes peeled! World Book Night! What’re you reading? Sorry it’s been so long since my last update! I’d like to explain why but it would make for a very boring read (basically I moved out then all this stuff happened). But you’ll be glad to know I’m still working on bits and bobs, I still do the weekly Jonbot vs Martha Webcomic and update my Tumblr with odd doodle that’s not quite blog worthy. ANYWAYS. It’s World book night tonight, which I guess is a night dedicated to sitting down to that book you always meant to read or finish and blasting through it. I’ve never been a great reader in all honesty. I remember trying to read Star Wars novels when I was about ten or so and found myself having to re-read every paragraph only to find that at the end of the page I hadn’t taken any of it in. In the past year or so I’ve tried hard though. I’ve always wanted to be a reader you see, so after watching the first few episodes of Game of Thrones I’ve spent the past year ploughing through the books and look! They’re huuuuuge! And just at the start of the year I finished ‘A Dance with Dragons’ the 5th book and at just over 1000 pages I was mega proud of myself! But enough of my Oprah-worthy struggle story. 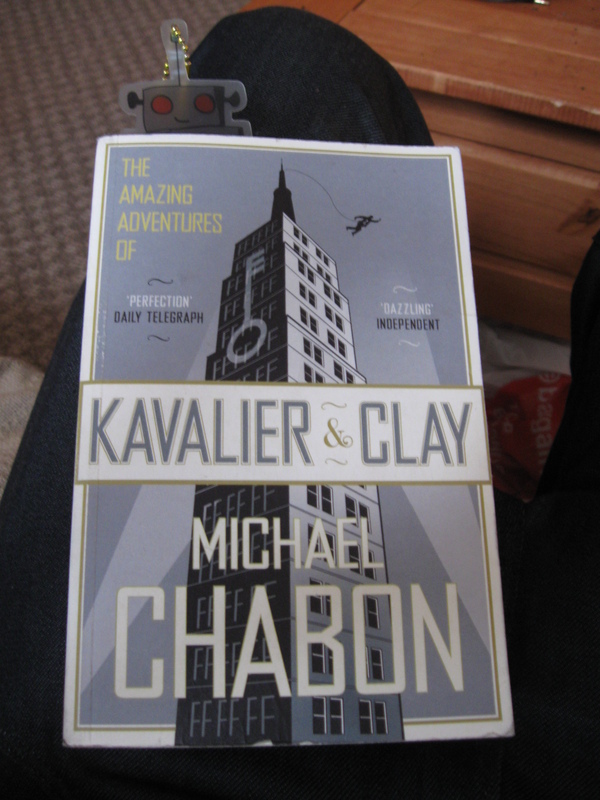 Let’s just talk about what I’m reading and that is ‘The Amazing Adventures of Kavalier and Clay’ by Micheal Chabon. The book is set mostly in New York in the late 30’s early 40’s and follows the exploits of two boys writing a comic book. It has tons of action, adventure and suspense whilst lovingly going into detail about the early beginnings of comic books. I’m afraid I can’t properly articulate actually how much I’m falling in love with this book but if you’re interested definitely go read some reviews or flick though the first few pages in your local library/book shop. 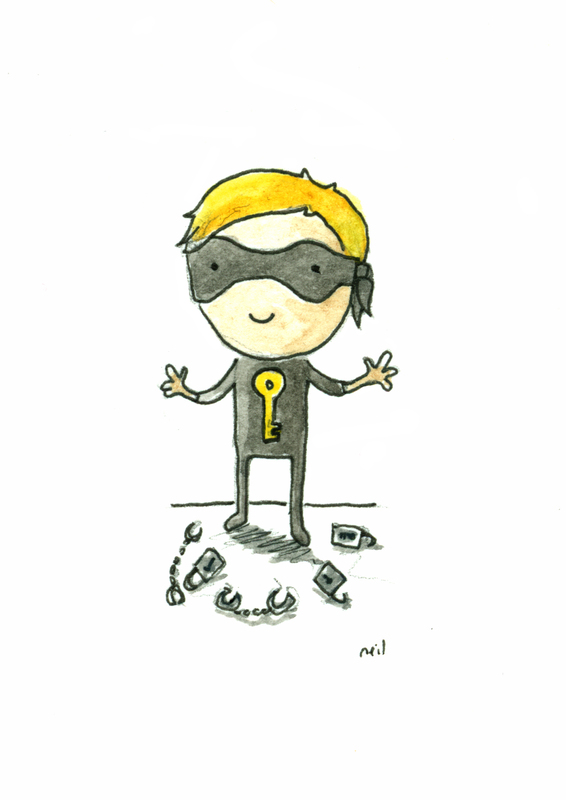 And in typical Neil fashion here’s a picture of the main comic character in the book, he’s called ‘The Escapist’ and he’s just done escaping from stuff! Wow! So what’re you reading just now? Can you recommend me anything? Right I have to go now but we should talk more yea? Reviewing my Shopping Spree Books. I’ve missed you! I hope you had a great Christmas and a fab New year if you’re reading this in the future. As most people do during the Christmas season, I tend to buy just as many presents for myself. So after I got some extra pennies from commissions and sales etc I thought I’d go on a mad Amazon book buying spree! Some books were educated decisions, some I just bought because the covers tickled me and others I bought because I just thought they looked up my street. And now I’m going to review them before your very eyeses! I realize they might not all be everyone’s cup of tea but you never know! You might read through this and find a new favourite artist or author. 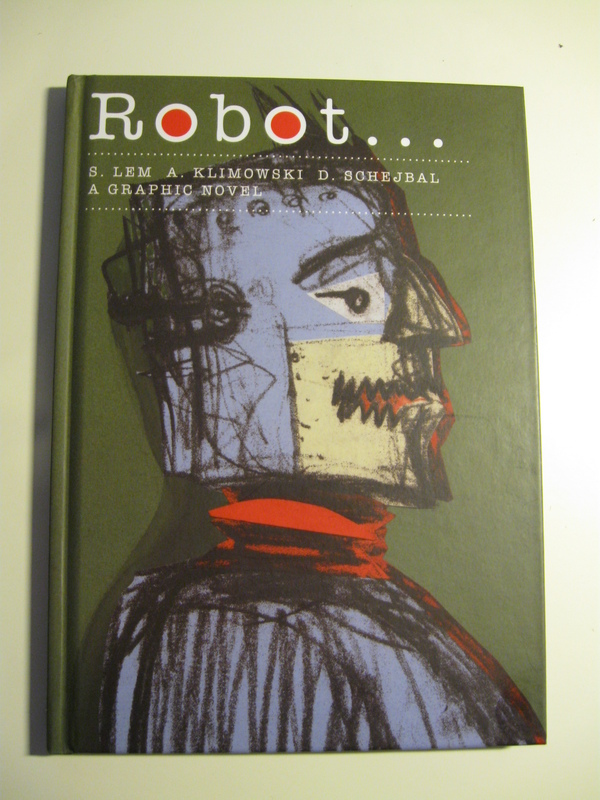 Robot… by S.Lem, illustrated by A.Klimoski and D.Schejbal. 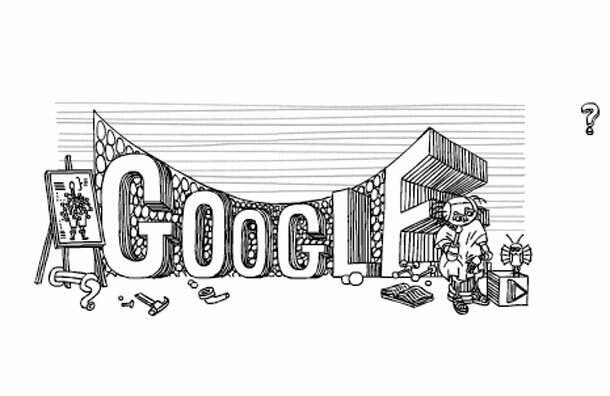 Who remembers this google doodle? It was my fav. This was made to mark the 60th anniversary of Stanislaw Lem’s first book. Lem was one of the worlds best Sci-fi writers and I’ve been trying to read more of his stuff as well as Asimov’s. So as an avid robot fan I thought I’d start here. This wee gem is a graphic novel with 2 adaptations of Lem’s short stories ‘Uranium Earpieces’ and ‘The Sanatorium of Dr.Vliperdius’. What I found upon reading through this was it was far more surrealist than I expected. The stories take place in their own strange universes and deal with some heavy subjects like slavery, revolution and communism. But that shouldn’t put people off as it’s all presented on a fairly innocent level almost like a slightly alternative children’s book. Although don’t read it to your kids as there’s a nudey woman in the second story. There’s also a lot to be said about the art, I think the simple blockyness lends itself to a distopian feel and reminds me of early surrealist films like Metropolis. So yea, if you into classic sci-fi, robots and/or indie comics this is a good wee read (it’s not as heavy as I’ve made it out to be) and a great introduction to Lem’s work. 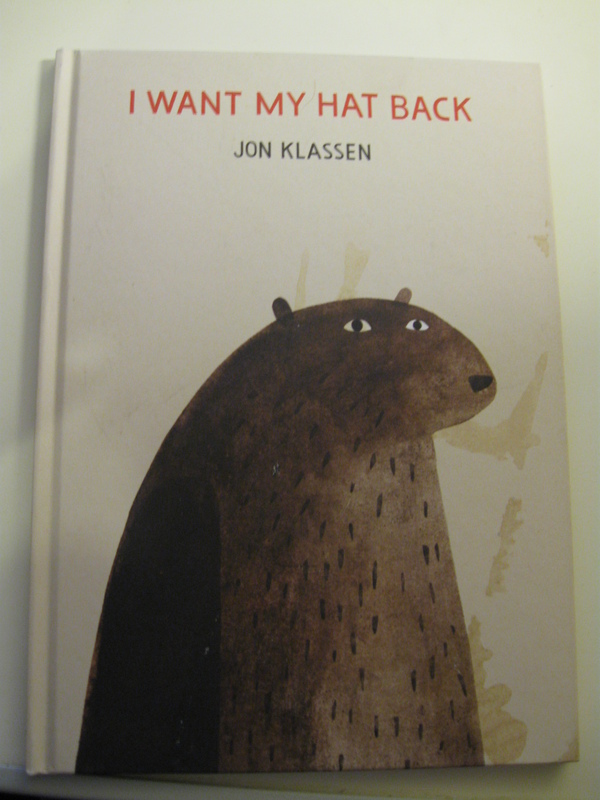 Ok next I’ve got I WANT MY HAT BACK by Jon Klassen. This is one of the books I bought because the cover tickled me, I mean c’mon look at his face! That’s a bear on a mission! As far as kids books go this was an absolute delight. As you can guess it follows a bear on a quest to get his hat back. He asks tons of animals, even a tortoise! And that swung it for me. The art is this is very much adorable and the story is short and perfect. It’s also great to read along with kids as there’s plenty of opportunities to go ‘What animal is that?’ or ‘Can you spot the hat?’ or you can just read it by yourself and have a giggle like I did. An ace addition to your picture book collection! 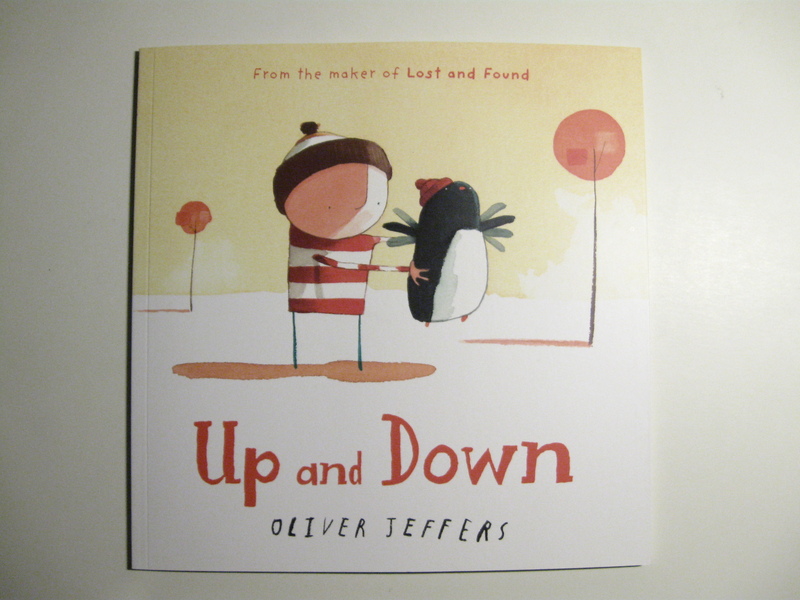 And while we’re on picture books let’s look at Up and Down by Oliver Jeffers my favourite illustrator. Oliver’s 7th book is a squeal to the penguin based heart warmer Lost and Found. 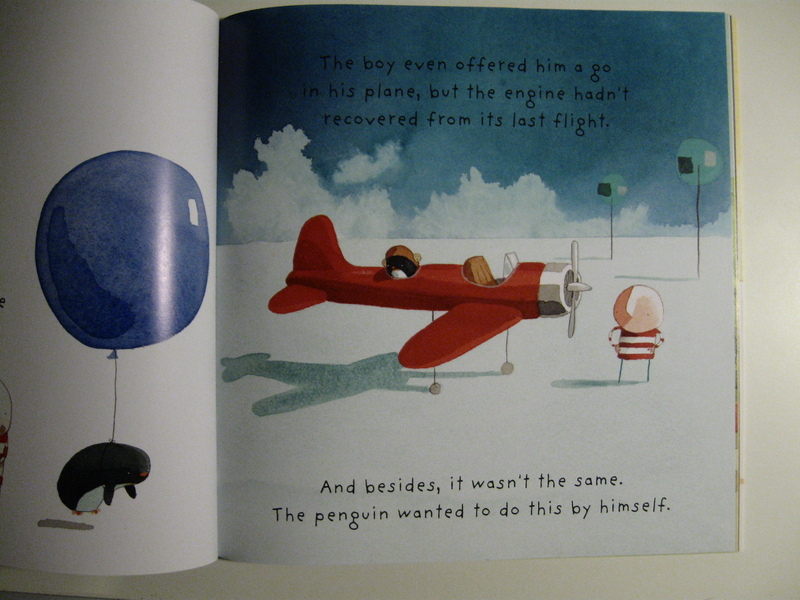 In this one the penguin decides he wants to learn to fly so goes to amazing lengths to fulfill his dreams. My awful photography doesn’t at all do the artwork justice. It’s very beautiful and at the same time simple and in my honest opinion the book would still work with the pictures alone. But that’s my beef, I’m not a huge fan of this story. Although it’s a great book I can’t help but compare it to it’s predecessors which feel far more unique and entertaining. I’d say if you’re a big Oliver Jeffers fan sure go for it but in my opinion although the artwork is stunning the story doesn’t match up to Lost and Found, The Incredible Book Eating Boy or my favourite The Way Back Home. Ok let’s do one more and I’ll let you get on with stuff. Here’s AMAZING EVERYTHING the art of ScottC. I came upon ScottC through his Tumblr ‘Great Showdowns’ which is basically a blog full of cartoon adaptations of some the greatest good vs evil struggles in all history. 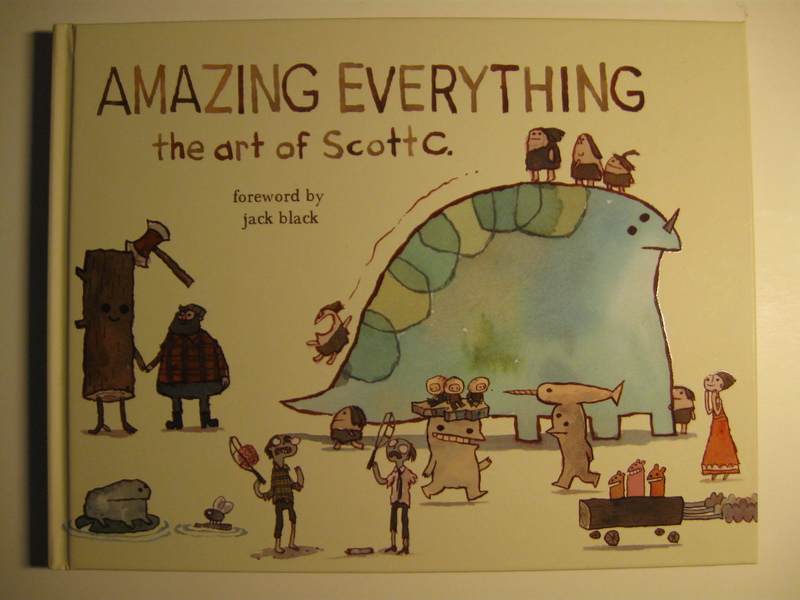 And from that I decided to get his book which catalogs tons of his drawings, paintings, doodles and whacky inventions! The art in this is very funny,very cute and very accessible, which is something I strive for myself. Being an art book it’s not really a ‘read start to finish’ affair, it’s more of a ‘flick through it now and again for a laugh’ kinda thing. So it serves as a great coffee table book, there for your friends and visitors to flick through while your making the tea. Or if you’re creative it serves as a great source of inspiration and motivation as ScottC’s simple style just makes you want to get up and colour something in! 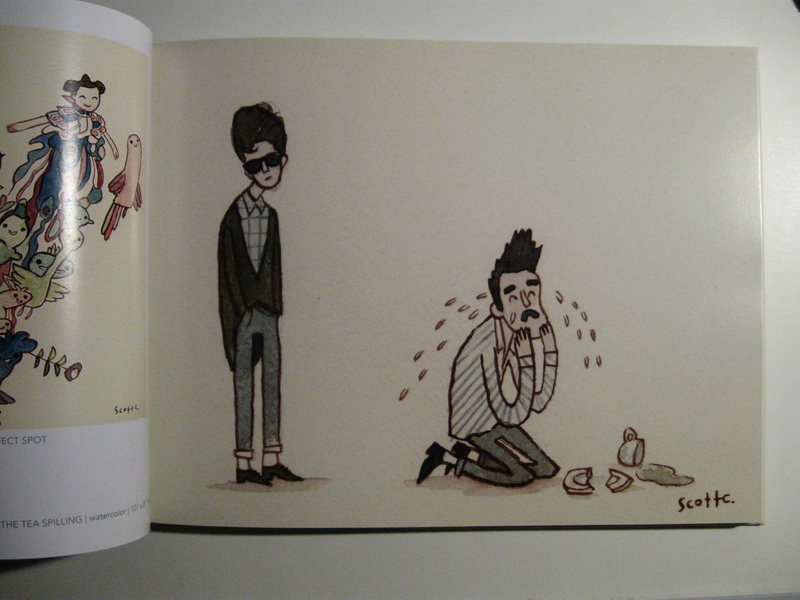 Look there’s Morrissey, he’s dropped his tea bless him. Right! That’s all from me today, I hope you found my post in some way interesting or useful. 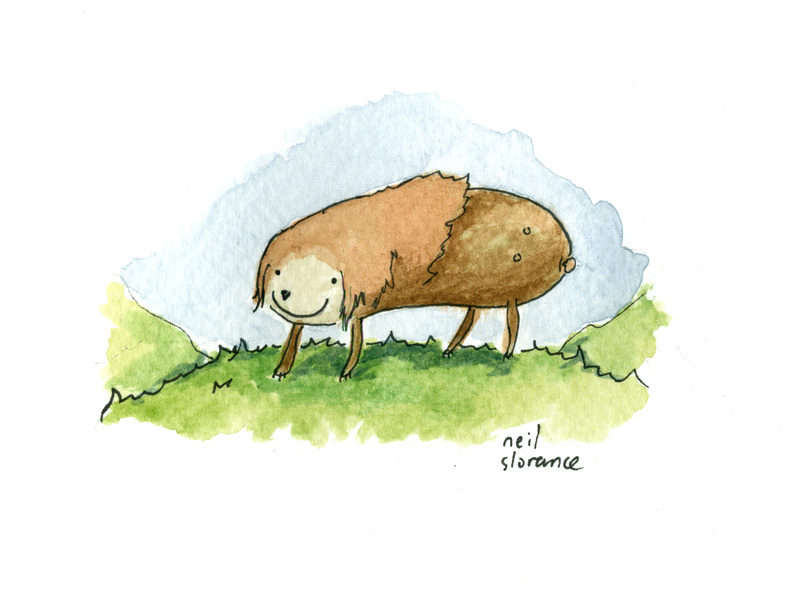 I’ll be back in the new year with toooons of new drawings and painting and silly stuff. Remember I’ve still got some ‘How to be a Ghost’ books for sale here and you can read my last book review post here. Thanks for reading take care! I hope you’re having a wonderful festive time! 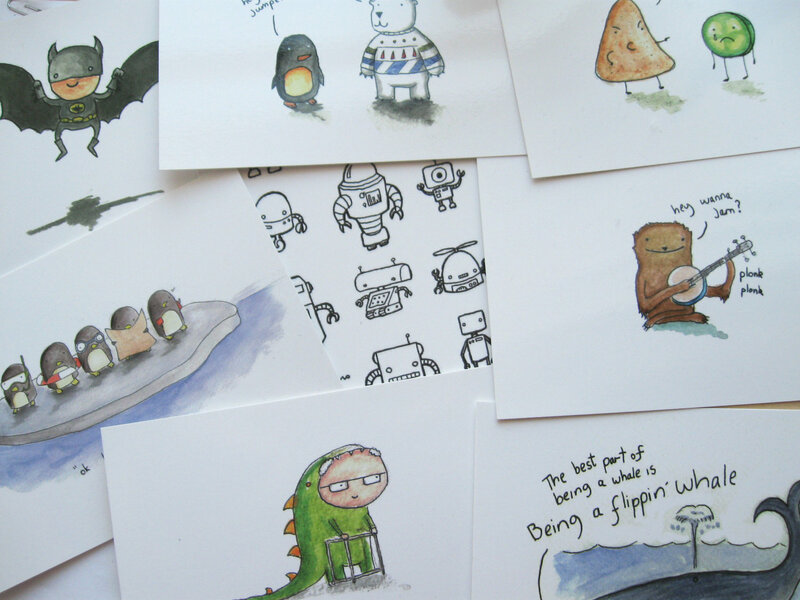 Just a short post here to say I’ve got some new postcards in my etsy shop. They look amazing and in my opinion are the perfect alternative to rubbishy Christmas cards. The are sold in sets of 6 for £5 ($7). In fact I’ll be sending some out myself! Look! Also! If you’re thinking about getting the fabulous ‘How to be a Ghost’ book now is the time! Monday is the last day I’ll be shipping them, after that I can’t guarantee they’ll arrive before Christmas so go go go! That’s all for today. If I don’t post up before Christmas I hope you all have a great one! 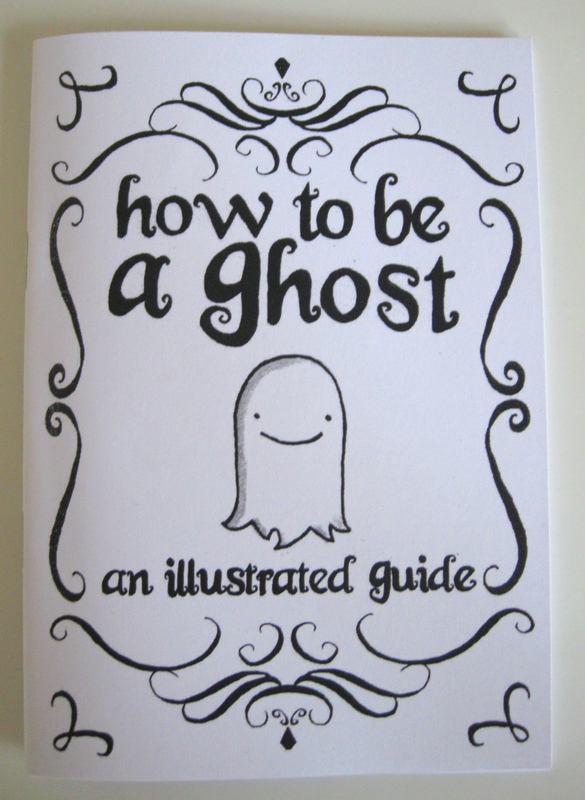 How to be a Ghost: An Illustrated Guide has arrived! It’s here! It’s finished! Finally! Yes! 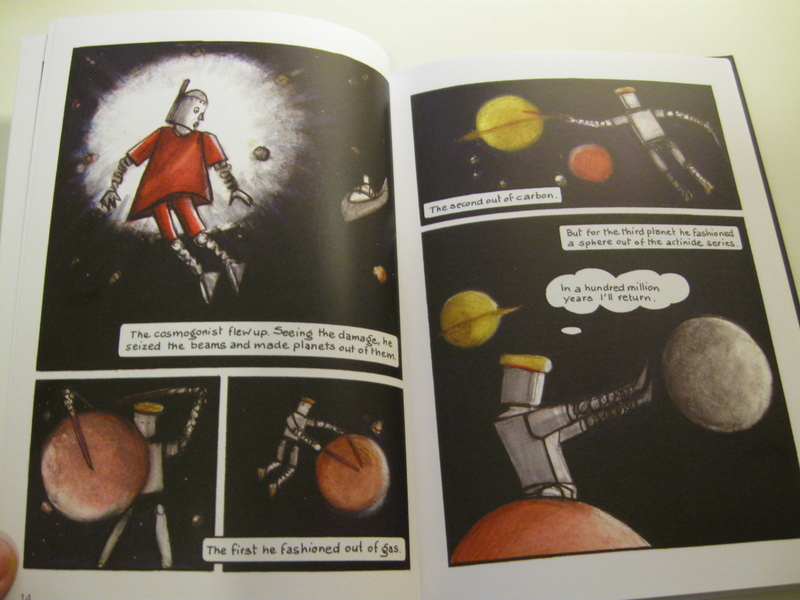 How to be a Ghost has just got back from the printers and it looks lovely! Here I’ll give you some info! 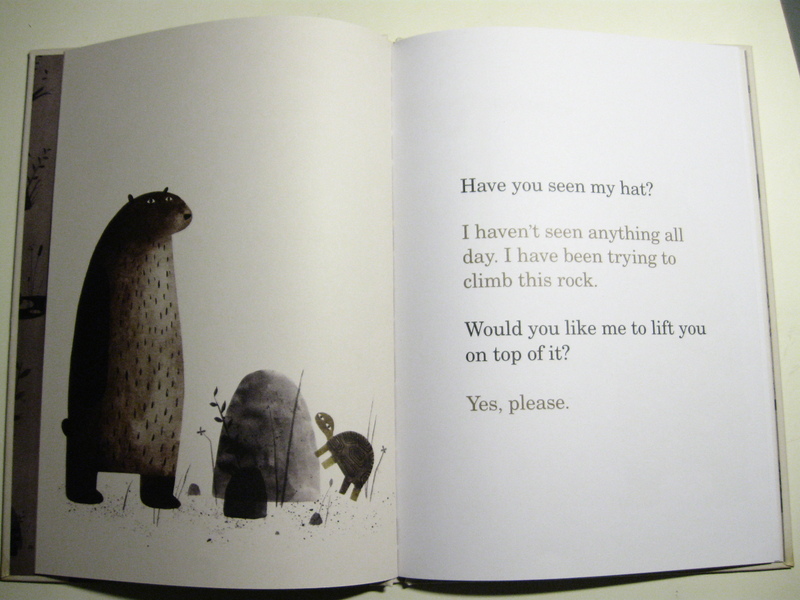 The book is illustrated by myself and the story was written by me and my pal Campbell Miller. It’s a short story about a wee ghostie finding his way about his new found ghost life, it has a lot of nice bits and a lot of funny bits. It’s mainly for big kids although is also suitable for little kids as there is no sweary words but I’d advise the parents to read it first. It’s 24 pages and is printed in a super cute A6 size (that’s a quarter of A4, it’s tiny!). ALSO! The first 100 copies come with an original signed ghost picture by me! Amazing! You can order it from my etsy shop here, though I should mention I won’t be shipping them till after the launch party on December 5th.